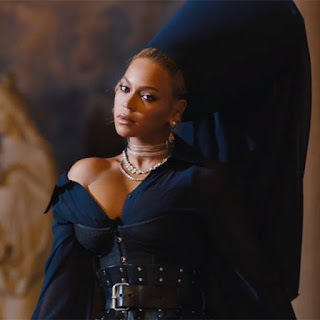 Jay-Z keeps his wife Beyoncé and daughter Blue Ivy close in the cinematic star-studded visuals for 'Family Feud.' Bey, a picture of elegance, was serving looks and face in the visuals. Hopefully, Jay-Z has learnt his lesson and never cheats on this woman again.